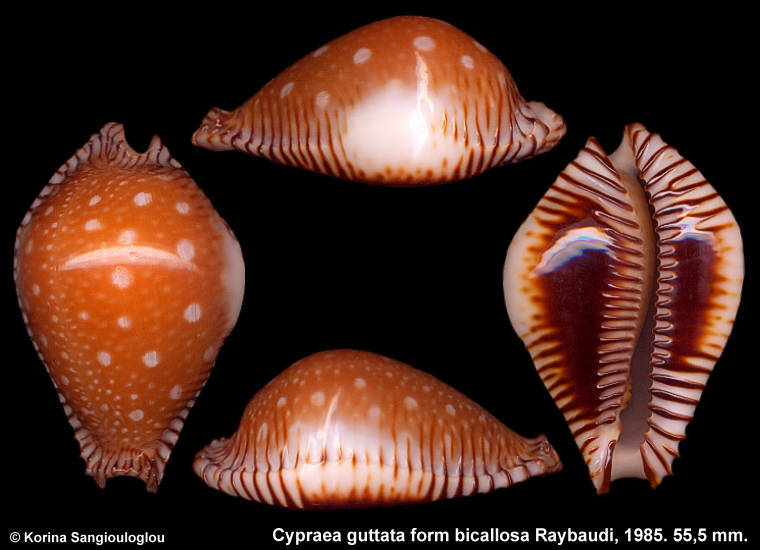 Cypraea guttata form bicallosa Raybaudi, 1985. 55,5 mm. Cypraea guttata form bicallosa Raybaudi, 1985.
big and small clear spots, well developed marginal transverse ribs and heavy. Has two small slightly bites on the dorsum dose not detract from it's overall beauty.